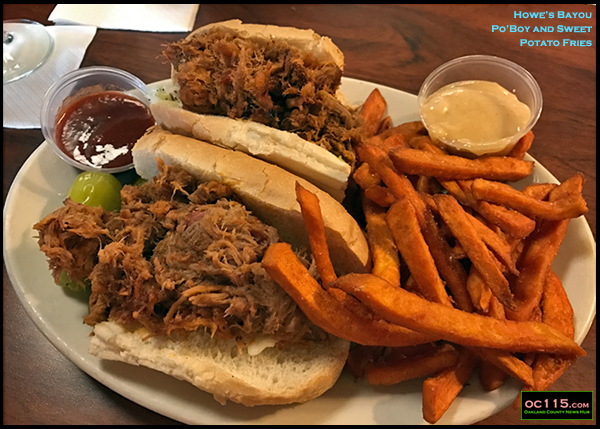 Ferndale, MI – It occurs to me that there are really not all that many ways to describe the taste of food. I pretty much think everything is delicious as long as it’s not too spicy. But hopefully the pictures will do this yummy comfort food justice. One of my favorite lunchtime comforts is to go to Howe’s Bayou for a po’ boy. They’re a traditional New Orleans-style sandwich on a hearty bun. They normally come with house-made chips, but I like to substitute sweet potato fries. This one is pulled pork which sits on a base of southern slaw. There is also a steak and cheese version that I love. Po’ boys that I’ve not tried include catfish, Cajun Shrimp, Andouille Sausage, and Voodoo Chicken. I also got a grasshopper. 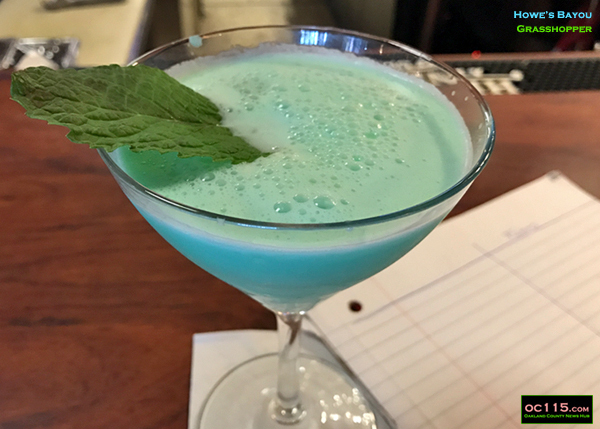 Which is a drink that tastes like melted mint ice cream. It was yummy. During the day, Howe’s is a great spot for lunchtime meetings or to work since they have good internet. At night the place is full of happy guests enjoying steak and oysters and other Bayou favorites. Howe’s Bayou is a sponsor of oc115. They are located at 22848 Woodward Ave, Ferndale, MI 48220. Learn more at http://howesbayouferndale.net/.